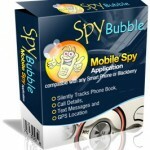 Mobile Spy set the industry standard for smartphone monitoring. Once installed, it runs silently in the background recording every action taken, along with GPS location. Compatibility – Available for use on Android, iPhone and Windows devices, the software instantly updates your online log with activity including Facebook, Twitter, SMS texts and web searches. Data Storage – Even if the history files or messages are deleted, it is still recorded on within their website for you to view. Main Features – According to company claims, they are the only spy software with LIVE control panel viewing, giving the user real time access to its screen and position. What is more, from your computer, you can listen to the surroundings, observe the screen activity as well as remotely control this device. Customer Service – This is accessible 24/7 after your purchase – providing you with the required help as you need it. Subscriptions & Price – Their packages are available in 3 ($49.97) or 12 months ($99.97) increments. In addition, the LIVE control panel is an additional $49.97. Keep In Mind: Using this software for business purposes – monitoring the employees, for example – would make the annual plan the best choice. However, for personal use, you may not need it for that long, so it seems a bit costly! Compatibility – This comprehensive stealth software covers most operating systems, including: Android, Blackberry, iPhone, iPad, Symbian and Windows Mobile. With an easy to use interface screen, users can monitor and log on from anywhere. Main Features – SpyBubble offers most of the standard options: call logs and history, SMS text monitoring, GPS location, and email tracking. Approach To Customers – There is a customer support “knowledge-base” accessible to research any questions that you may have, as well as there is an option to email any questions to the support desk. Subscriptions & Price – Their site claims that a variety of packages are available, however only a basic one is listed ($49.99) and there is no information regarding its length. Then there is possibility to upgrade it for additional costs in order to get your hands on more sophisticated tools. Please Note: Boasting over 100,000 users, they seem to be successful at providing a service many people want, but the website has a few issues that give this reader pause about purchasing a plan from them. One of the best software monitoring programs on the market, mSpy has carved a niche for themselves with their very easy to use website, controls and its tools. Compatibility – It is possible to use this soft with Android, iPhone, Blackberry and Symbian platforms. With its cross availability, even if your target device changes, your plan doesn’t have to! Features – A robust list of capabilities covers the standard spy methods: call history and monitoring, recording conversations and surrounding sounds as well as GPS tracking. In addition, this product provides Skype and WhatsApp coverage. The software offers also a Keylogger to track your every days activity. Subscriptions & Price – Several purchase packages are listed; giving you plenty of options regarding length of its usage, services needed and support options available. Their basic pack starts at $39.99 for 1 month, and covers tools such as: tracking of calls, SMS text viewing, website visits and more. (Also accessible in 1/4 year increment for $59.99). Their premium set includes all the features of their software and you can get it in increments from 1 month up to a year, and provides the user with phone support. (From $69.99 to $199.99). Read As Well: A business plan is also offered, appealing to the employers who wants to keep tabs on their employees. This allows the you to customize their product to meet their needs. ($499.99 for 1/2 & $799.99 for complete year). Another powerhouse in the stealth monitoring marketplace, this brand brings a strong contender to the table. Features – Available for most mobile devices, StealthGenie has a full range of services that it offers. Beyond the basics, it provides you with GPS travel route tracking and keyword alert settings so you will be notified if specific words are used. An easy to use site lets you log in to view data, giving you statistics on usage, call history and more. Subscriptions & Price – Plans are reasonable and are based on the gadget you are tracking. Android sets run from $99.99 for a year of Basic, $159.99 for a Premium and $199.99 for Platinum package. (Other are available at a different rate). The iPhone has either an Elementary for $99.99 or a Gold version for $159.99 (whole year). Cons – Some downsides to the StealthGenie: installation, while covered in a step by step pictorial guide, seemed lengthy and a bit overwhelming to anyone not moderately comfortable around technology. Please Note: The information and monitoring interface is so thorough and complete that for the personal user, it might be overkill. This plan would be perfect for an office or workplace environment. Features – With a remotely operated microphone feature, no matter where you are in the world, you can listen live to what is happening around your target. This is just one of the many stuff that users can take advantage of with MobiStealth’s spy offerings. 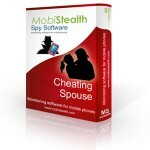 Compatibility – iPhone, Blackberry, Android, Nokia and Windows Mobile are all supported with MobiStealth’s software, making this one of the most comprehensive softwares. Subscription & Price – This product is available in 2 week increments for the Basic ($19.99), making this a reasonable option for someone who does not need long term monitoring. The Pro plan, which includes every feature they offer, ranges from $79.99 to $119.99 (3 – 6 months). My Remarks: This software does not offer as many tools (Facebook and other web-based applications aren’t monitored) but for the price this one is a good entry level spy software. Designed primarily for home use and tracking of children’s activities, PhoneSheriff allows you to block their unwanted conduct and apps as well as set Time Limit restrictions. Features – Some of its unique tools are an Anti-Abduction mode which allows you to remotely turn on GPS tracking, take stealth photos and record activity near the bugged phone. Also includes a Panic Alert which works as an S.O.S. signal sending out its current location. Subscriptions & Price – Monitoring plans are $49.00 for 6 months or $89.00 for a year of personal usage. If you need PhoneSheriff for business purposes, you can monitor up to 5 devices for $299.00 annually. My Summary: Tracking features are not as robust as some of the other ones we have looked at, but for the parents who just want to keep tabs on their kids – this would be the way to go. This brand has been built specifically for use on the Android operating system. The most basic spy software we’ve looked at, this offers limited capabilities in the area of monitoring. 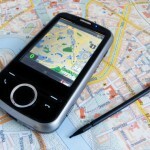 Features – Text messages – both in and out – GPS location, voice call log and web history are the only tools available. Subscriptions & Price – If you have any other type of phone, or want to be able to keep an eye on someone with live video feed, this program isn’t the one for you! Surprisingly, eBlaster software is accessible for $69.95. My Recommendation: If you are looking for a simple, clean report and have an Android – this software is perfect choice for you! The only mobile device software company that offers a “trade-in” reward for turning in your “basement pricing” program that you bought and can’t use. Compatibility – FlexiSpy supports iPhone, Android, Blackberry and NOKIA. Features – A web-based monitoring application lets the owner to log in at any time and monitor what has been going on around it. What is more, The extreme plan also includes Call Interception which allows for the user to intercept and listen to any incoming conversations. Subscriptions & Price – FlexiSpy offers a premium package for $149/year that covers more than most people would ever need to find out. What is more, they offer an alternative for those who just need to know everything – named the Extreme plan. Annual costs for this program are $349.